Architects, designers, and the industry were brought under one roof in Bengaluru last week for the fourth edition of Autodesk University, India and SAARC. At the event, which aimed to showcase the importance of automation and offerings towards a sustainable future, Autodesk showcased samples of machine-human collaboration. There was a model of Columbia command module Apollo 11 brought by the Smithsonian 3D Digitalisation Programme team that grabbed eyeballs. The 1:100 scale 3D printed model took 14 hours in its development, and the team spent nearly 30 hours in its post-processing. The Gallery also had some 3D visualisations of Italian Baroque Architecture that was conceptualised by Pennsylvania University Professor Andrew Saunders. The Professor used laser scanners to capture the interior space and geometry of the featured structures, and the recorded data was converted into 3D models using tools such as Autodesk 3Ds Max, Meshimixer, Netfab, Project Play, ReCap, and ReMake. "The AU Design Gallery provides a glimpse of the future of design by showcasing diverse developments that are built using an advanced mix of software and human efforts," said Tatjana Dzambazova, AI Strategy, Office of CTO. "It also demonstrates how designers and developers are utilising the advancements offered through Autodesk solutions." In addition to the Design Gallery, the event exhibited some developments by design innovators and developers. Bengaluru-based biotech startup Next Big Innovation Labs (NBIL) was one of the major exhibitors at the venue. Funded under Idea2PoC (a grant from the state government of Karnataka), NBIL is in development to bridge the gap between organ availability and demand by offering its native 3D bioprinting solutions. The company has already enabled organ transplantation through invitro organogenesis via 3D bioprinting and is in plans to soon develop 3D bioprinted human skin and even liver tissues. The startup brought some prototypes of its 3D printed scaffolds and pre-surgical models that were designed to enhance the local healthcare efforts.The printed scaffolds are built using eco-friendly materials for potential in vivo and in vitro studies. The pre-surgical models, on the other hand, are designed algorithm to help maxillofacial surgeons, dentists, andorthopedic surgeons reproduce bone and dental structure, which can then be used to plan a surgery with greater accuracy. The team develops the models by simply scanning patients. NBIL also demonstrated various areas around the nascent 3D bioprinting space through custom solutions. 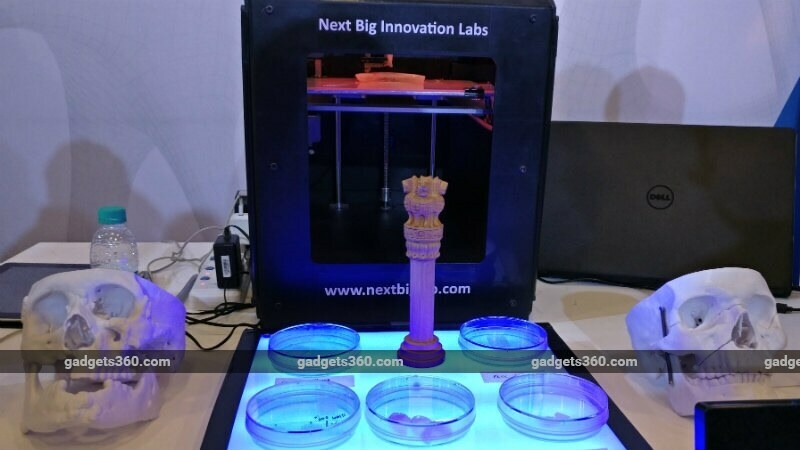 "With our cost-effective 3D bioprinters, we are set to uplift the experience for researchers and enable the development of human organs using various technological advancements," NBIL co-founder Pooja Venkatesh told Gadgets 360. Bleetech Innovations was also present in the exhibition area, and showcased its Android-based smartwatch for people who are hearing-impaired. The smartwatch listens to emergency sounds such as a doorbell, fire alarms, or a baby's cry, and then notifies users with unique vibration patterns, colours, and icons. There is also the ability to recognise music tracks using the built-in microphone of the smartwatch, and then convert it into vibration patterns, to let the users dance without listening to the tracks. While the chip powering the BleeWatch is natively designed by the Bleetech team, its build is designed using a 3D printing process. "The ease of 3D printing in today's market has enabled to build the ergonomically designed BleeWatch at an efficient cost," said Nupura Kirloskar, co-founder, Bleetech Innovation. The BleeWatch will be piloted on 25 people and will be available for a price under-Rs. 10,000. Apart from the startups, individuals such as Mandeep Singh Kapoor joined the venue with their offerings. Singh, from Malviya National Institute of Technology, Jaipur, designed a personalised healthcare product called 4KARE using 3D printing technologies to overcome the issue of knee pain. He took the original dimensions of a human knee and then modeled the product using Autodesk's Fusion 360. 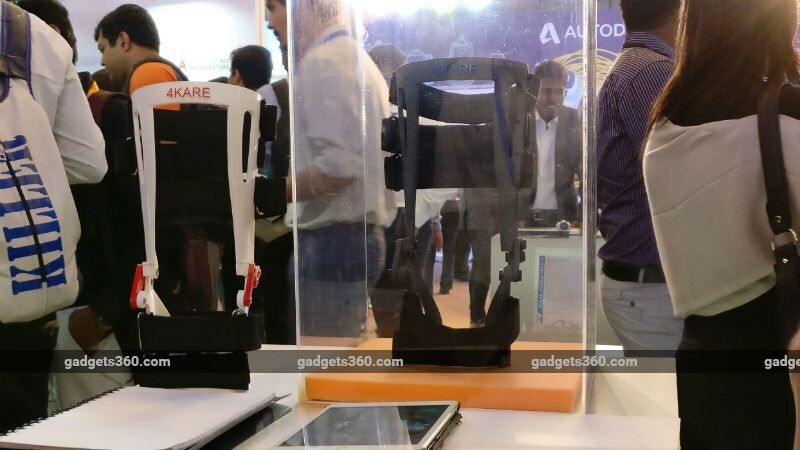 "Unlike any traditional knee-pain solution, the 4KARE exoskeleton leverages modern technologies and solutions such as Fusion 360 to offer a better solution," Singh told Gadgets 360. 4KARE is currently in the second prototype phase, and Singh is planning to reach healthcare organisations to make it publicly available to the masses. Additionally, Autodesk partnered with Maruti Suzuki to host India Design Challenge 2017 at Autodesk University 2017. The latest India Design Challenge, which was conducted in collaboration with National Institute Design (NID), provided a hands-on experience to Fusion 360. Akhilesh Manchandani and Aravind S of Transportation Design at MIT Institute of Design (MIT), Pune, received the first prize for modeling a rear-wheel driven, compact electronic crossover. "With the swift growth towards digitalisation and connectivity alongside the development of new tools, creativity can now be leveraged easily to become enablers in the world of design," said Saurabh Singh, head of design studio, Maruti Suzuki India. Advising young designers and developers, Singh told Gadgets 360 that there is a need to look locally. "It's fine to look globally but there is a significant need to look around in India to understand the local challenges and find answers to questions such as how things changed and what we should do to gear-up for the changes customer requirements," he added. 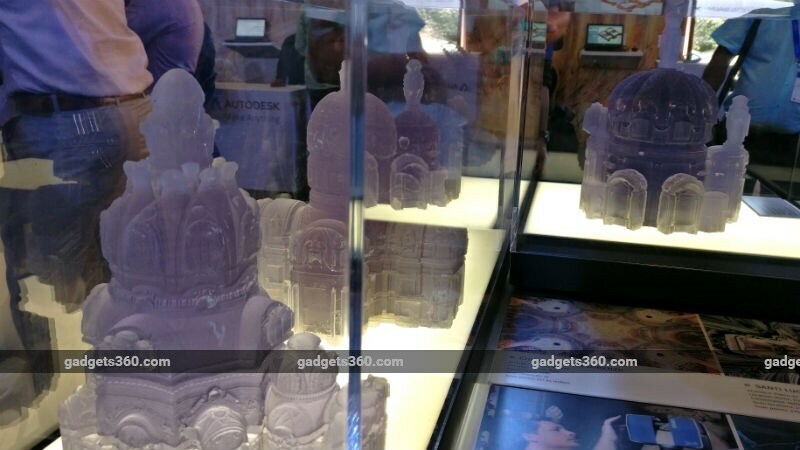 Disclosure: Autodesk sponsored the correspondent's flights for the event in Bengaluru.